William Shakespeare once said “the eyes are the windows to the soul”. I think about that saying as I head out for my annual eye appointment to screen for antimalarial toxicity. I’ve learned that not only are the eyes the window to the soul, but medical technology has shown the eyes can also be the windows to the body. Certain types of health issues, such as diabetes, high blood pressure, some neurological issues and arthritis, can be revealed through the eyes – which makes my yearly appointment with my ophthalmologist extremely important. 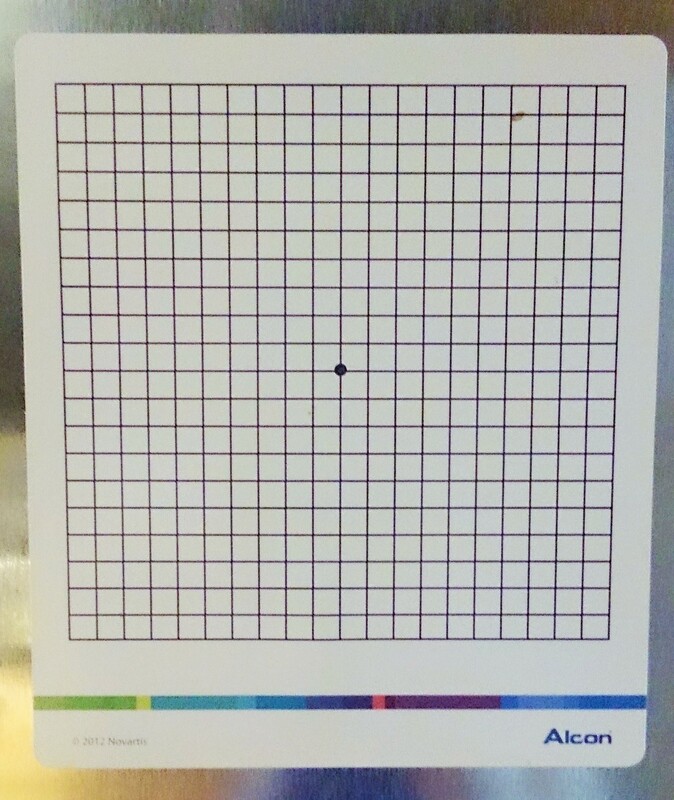 The second appointment involves an Amsler grid test, a standard vision test, photographs of my eyes, and the dilation and freezing of my eyeball so they can measure the pressure by poking my eyeball with what resembles a thick pencil with a rubber tip on the end. Not always a satisfying experience, but a necessary one. Once inside the exam room, my ophthalmologist studies the pictures of my eyes and asks how my arthritis is doing. I tell her it’s the usual ebb and flow, some good days, some not so good. She then turns her attention to my eyes, shining an intense light into them and asking if I’ve had any problems in the last year. There was nothing of significance I could recall. There’s the occasional blurring that I often attribute to fatigue; I do suffer a little from the “dry eye syndrome”; sometimes my vision is a little cloudy and “floaties” like to dance around the edge of my peripheral sight. I recalled a couple of years ago, a bunch of blurry lines developed in my left eye creating a cloudy blind spot that blocked part of my vision for about twenty minutes. I had called my specialist and I was simply told to “keep an eye on it”. It was suggested, but not confirmed, that I might have experienced an ocular migraine, but since that time, nothing of consequence has occurred. I think of arthritis as primarily a joint disease. It’s easy to overlook the fact that some types of arthritis, such as RA, and the medications used to treat it, have the potential to affect the other organs in the body. I have often wondered, if my ophthalmologist could see the heated inflammation of arthritis pulsing through my system. I now understand that, to some degree, she can see it in the guise of changes in my eyes. 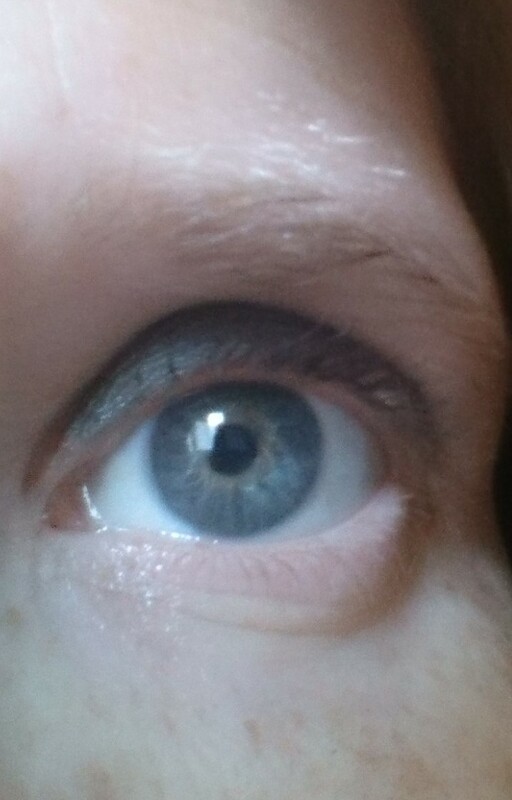 My eyes are the windows to my soul, my body, and my writing life. I am still seeing, glimpsing, observing, spotting and noticing. My yearly eye appointments help keep them safe from the ravages of RA and the medications that fight inflammation. My arthritis is still challenging at times, but at I am grateful that it hasn’t had a significant impact on my vision. I love your posts and this one is also an important reminder to treat ourselves holistically and that important clues to our health can be found outside our joints. Thanks, as always. Hugs. Thank you Carla. I love following your journey too. Hope all is well. Hugs. I had a bout with Optic Neuritis in 2001. Only one and MS was ruled out. But who knows what role my immune system, infusions of remicade and several months of methotrexate played in the optic neuritis. Ultimately it cleared up altho my right eye never ever got back to the 20/10 vision I had prior to the episode. I think that RA, the meds, a spider bite all contributed. Who knew then, about 3 years into the RA diagnosis where this journey would take me. I’m pretty proud that I’ve managed as well as I have and foraged on. But I too, would like to stop the creeping escalation of the number on my reading glasses!!! Thank you for sharing your experience. Any issues with the eyes can be terrifying, but I’m happy to see that you are doing well and carrying on – and so happy to hear no MS – RA is trying enough 🙂 Hugs. Have you thought of, or had someone suggest, computer glasses? I, too, have RA, though we don’t address that directly at the eye doctor. At my recent appointment (1st in 2 yrs), the doc suggested adding computer glasses. So now I have 3 pairs of prescription glasses–distance, sun, and computer (a distinct Rx). A bit expensive, but so far, so good. I have not had anyone recommend “computer glasses”. I will have to look into that. My reading glasses seem to be doing the trick so far, but thanks for the information. Hope all is well with you.